Andrius Petkus is a Lithuanian sculptor, living and working in the small town of Darbenai in northwestern Lithuania. 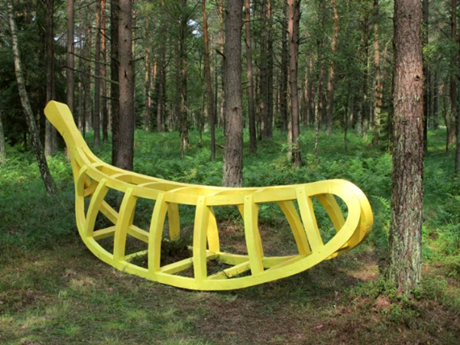 This wood sculpture is titled “Banana jacket”. You can view more of Andrius’ work through Saatchi Art.